Enter your email address below to receive a notification when Leither Collection starts accepting new sign-ups! Enter your email address below to receive a notification when Leither Collection is accepting new sign-ups again. Use code HOOKED to get $5 off your first deluxe box! 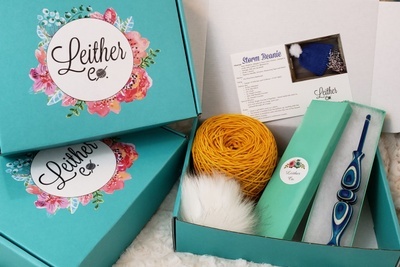 Deluxe Boxes ship on or around the 15th of the month, hook and yarn boxes ship out on or around the 20th of the month! Please order by the 9th to get the current box or your first box will ship the following month. 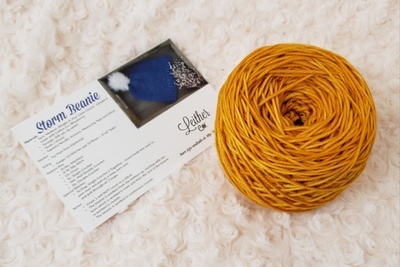 Get Hooked with a new pattern every month! 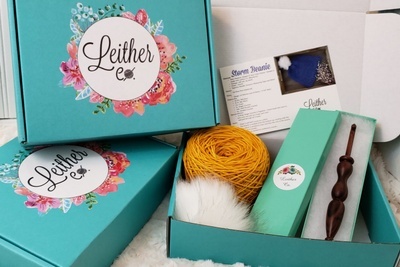 Get hooked on crochet with the Leither Collection in your life! 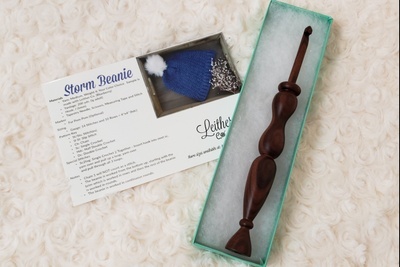 With your crochet hook and a pattern, you will be able to crochet a new pattern every month! Choose between natural and funfetti! If you need a little more goodies in your life you can splurge and grab the deluxe box and receive the yarn and a fun splurge item every month! I have yet to receive anything from this one disputed being over a month from the original order. 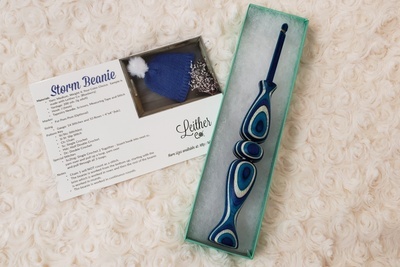 Beautiful crochet hook. Can't wait to start a new project with it.